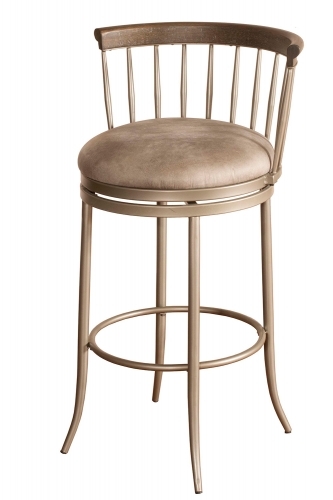 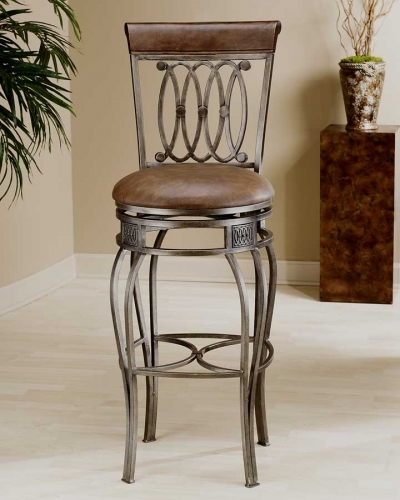 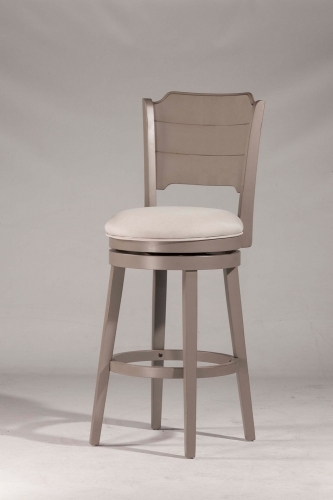 A beautifully metal etched back inset is the highlight of the Camille stool, by Hillsdale Furniture. 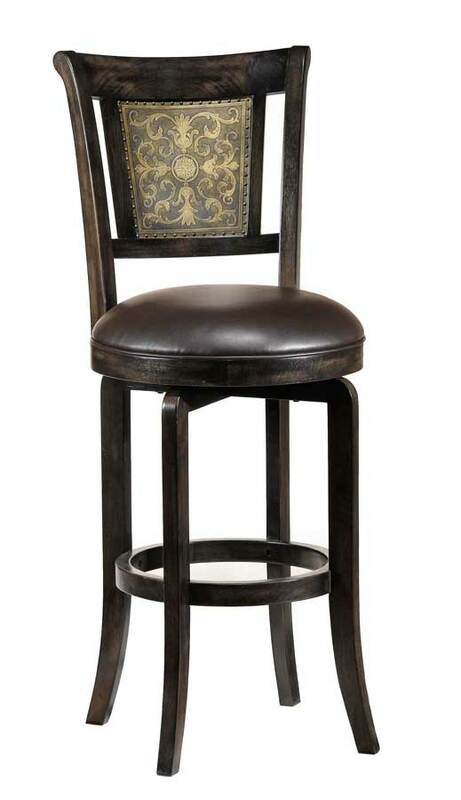 The soft gold highlighted inset is framed by nail-head trim and further enhanced when set against the gently distressed black finish on the rest of the stool. 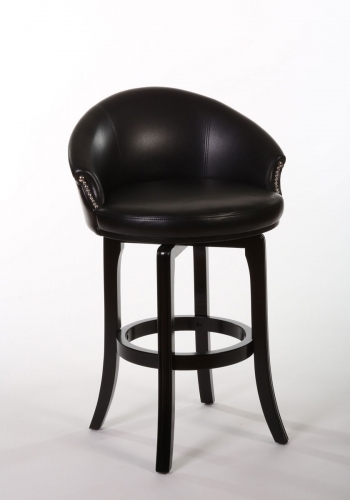 Faux black leather and a 360 degree swivel seat complete the look. 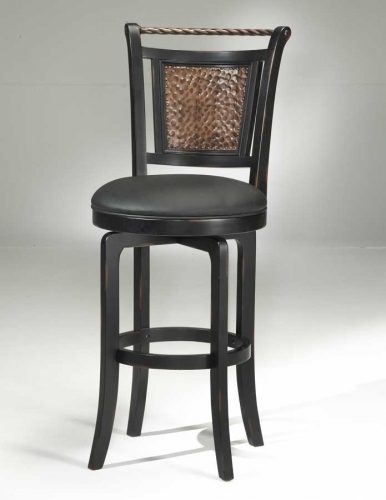 This stool is sure to add a touch of elegance to any decor.